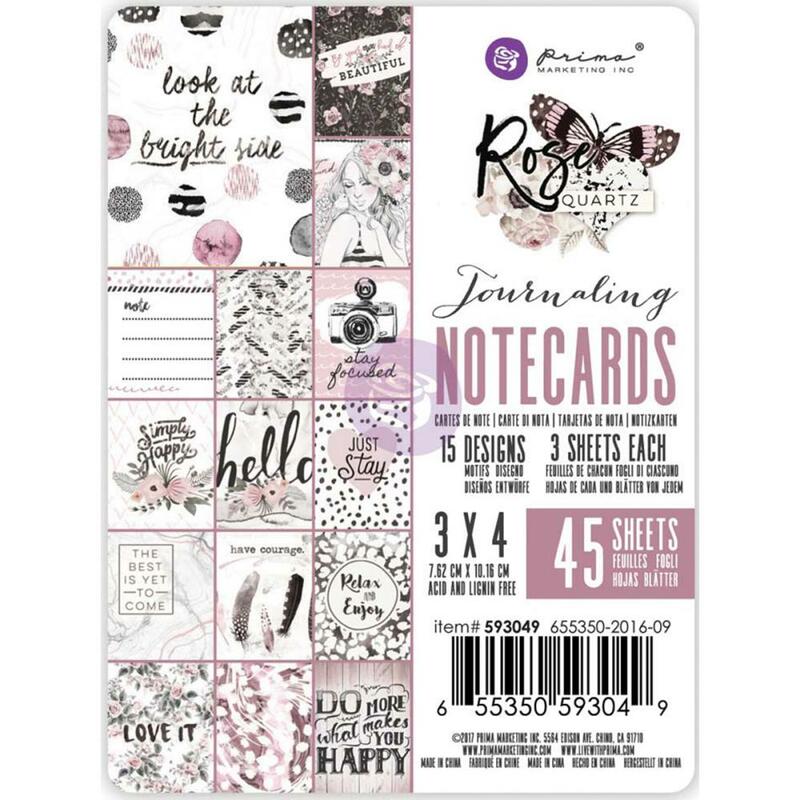 This 3"x4" Package of Journal/Notecards to perfect for documenting or accenting your creations. Look for coordinating Designer Paper, Paper Pads, Ephemera, Puffy Stickers, Enamel Dots & Flowers. Part of the Rose Quartz Collection by Prima Marketing Inc.